The fact that the complex is a mix of residential and lettings to visitors. Great facilities including shop, bistro, restaurant. Lovely decorations for Easter. Daily cleaning of our apartment. Friendliness of staff. 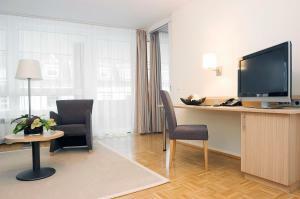 Great location, just a few minutes walk from the Dom cathedral. The location was great, right across the Hilton and 3 minutes walk to the Cathedral. I don't like the western food, so I don't like the breakfast. this is my reason, not the breakfast. Alexander Mueller at reception was most wonderful and hospitable. Excellent position for sightseeing. Friendly staff, willing to answer any questions. Good value for money. Very clean, spacious and quiet. Location was perfect!! Walk to cathedral, the Xmas markets and train station. Location, was right next to the Dom and city center. The apartment was large with a bedroom, a living room and kitchen. Size of room, huge gym, nice pool, free washer and dryer. This is a great property for the money as long as you understand that it is a residence not a hotel. 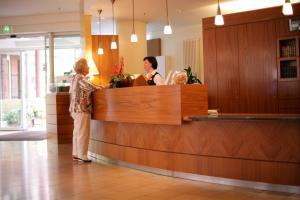 It was clean and spacious and served the need for an economy business stay with good location. 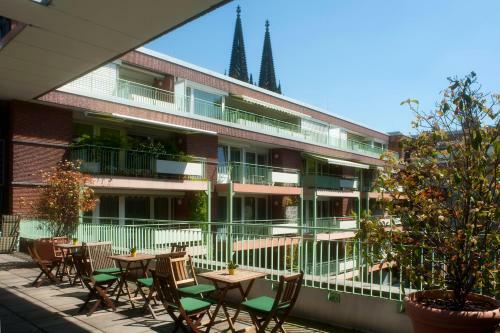 Lock in a great price for Residenz am Dom Boardinghouse Apartments – rated 8.8 by recent guests! 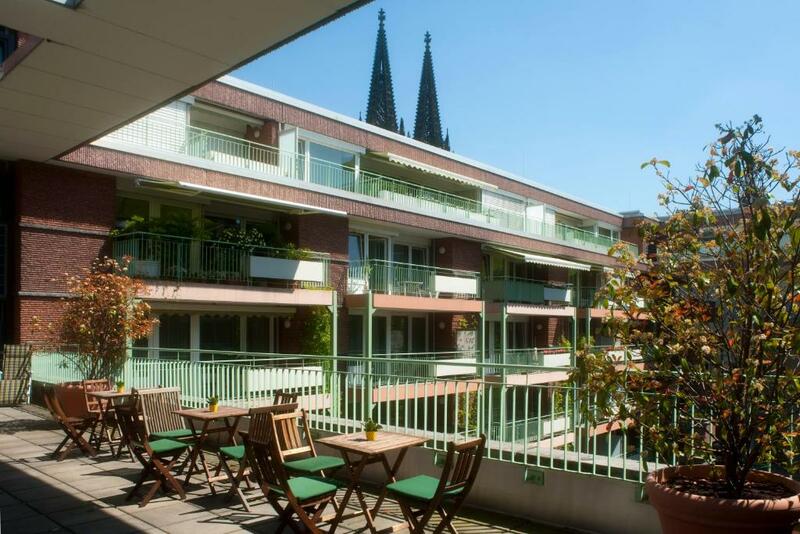 Residenz am Dom Boardinghouse Apartments This rating is a reflection of how the property compares to the industry standard when it comes to price, facilities and services available. It's based on a self-evaluation by the property. Use this rating to help choose your stay! 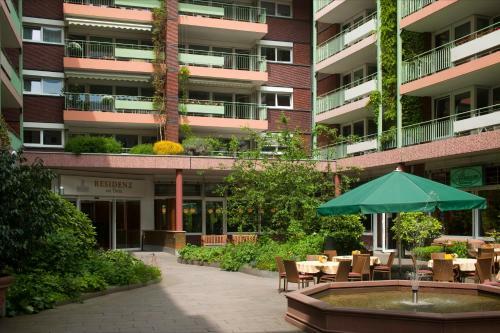 One of our top picks in Cologne.Just 650 feet from Cologne Cathedral, these apartments offer free use of the gym, sauna and swimming pool. All apartments offer fully equipped kitchens and private balconies. Guests can dine in the bright Atrium Restaurant or in the cozy Alte Post restaurant. 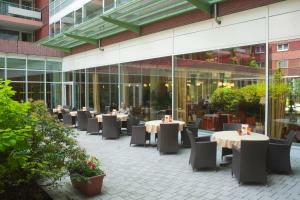 Cakes and ice creams are served in the Dom Café or on the peaceful courtyard terrace. Cologne Central Station and the Hohe Straße shopping street are within 1,300 feet. Guests may park in the garage for a small fee. 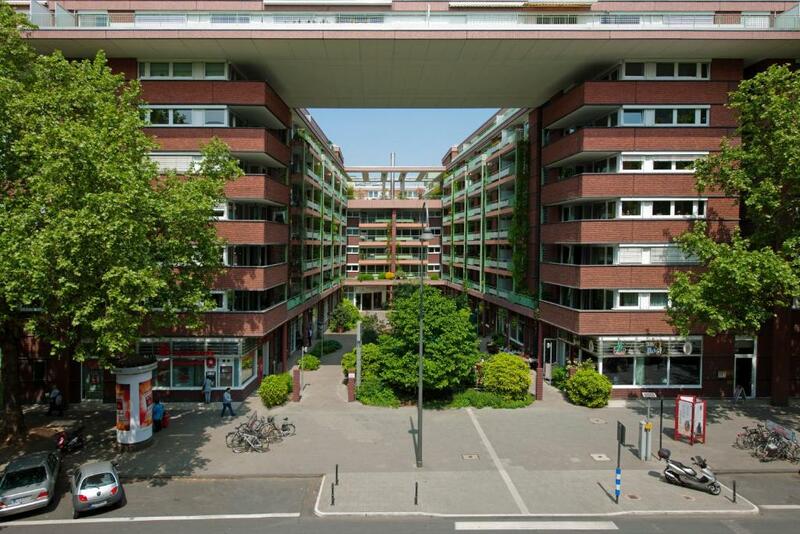 뀐 Located in the real heart of Cologne, this property has an excellent location score of 9.6! When would you like to stay at Residenz am Dom Boardinghouse Apartments? This contemporary-style apartment features a sitting area, a well-equipped kitchen, as well as a microwave (available upon request) and a balcony. It also provides extra space, a large work area and 2 flat-screen TVs. The apartments are ideal for business travelers who stay for several nights or move to a city like Cologne, offering 24h reception, cleaning service, breakfast and more. There is a private atmosphere in a boarding house apartment comparable with one's own home – it is “a home away from home” in the new city. We welcome our guests and hope they will feel at home in our apartments. 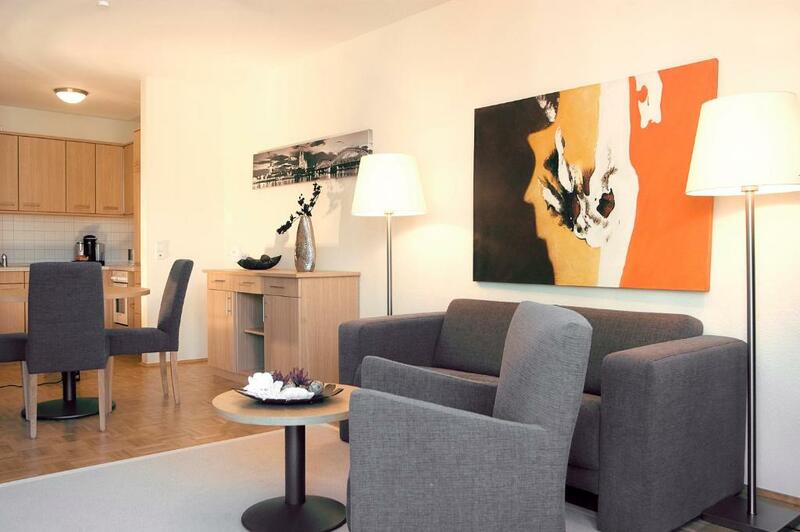 House Rules Residenz am Dom Boardinghouse Apartments takes special requests – add in the next step! Residenz am Dom Boardinghouse Apartments accepts these cards and reserves the right to temporarily hold an amount prior to arrival. There was no free Wifi. Wifi was available at a cost. Free Wifi has become the norm in most holiday rentals. 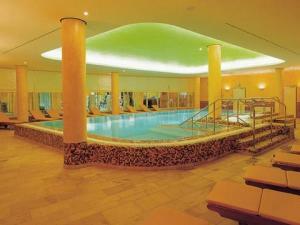 Although the facilities included free WiFi, it was limited to 3 GB only after which you had to pay 18 Euros/GB. the wifi login system is medieval. the place is neither 5 (as written at the entrance) nor 4 (as in booking.com) stars. some curtains were even slightly rippen. the elevator was terribly slow. Great location. Very convenient. Very spacious and comfortable room. Nice bathroom with great shower. Nice Laundry facility. Friendly and nice staff. 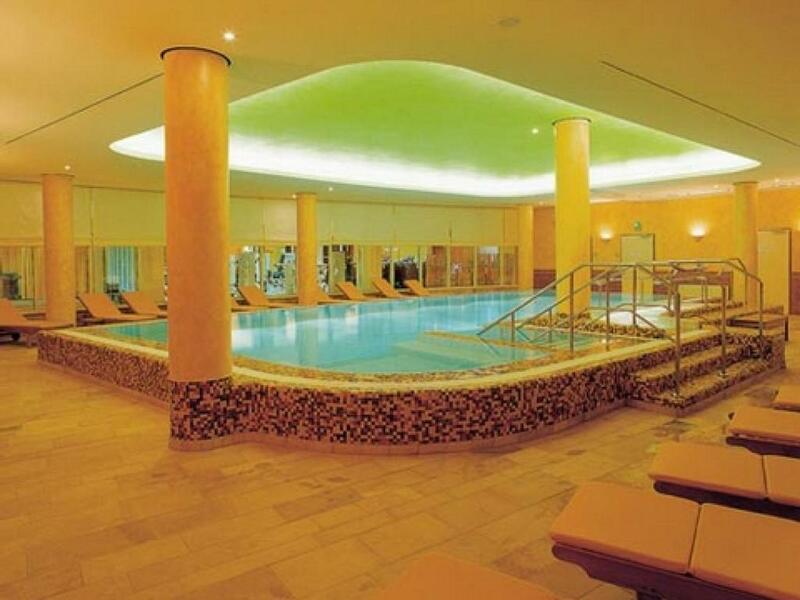 Will not stay anywhere else if I go back to Cologne! Restaurant staff approach to guest especially non nationals . We only had 3GB of data to use during the whole 3 day stay, for two people to share. For seniors that might not be a problem, but for people like us that had a paper to deliver, it might not be enough. Please note they have free computers available. The staff seemed like robots and not really helpful. It seemed to us that we were staying in a senior home. It was no problem since it had huge lifts, a huge bathroom and it was really comfortable. The room we stayed was really nice and big! The kitchen was tiny but it had everything we needed and it was hidden from plain view. It was really nice to stay in that apartment, since it's just a short walk from the city center and was so comfy. You can also print your boarding passes on the computer free of charge. Everything. The rooms were very big, comfortable and clean. Wi-fi was good. Beds uncomfortable and it was like living in sheltered accommodation. WiFi was also had poor connection and dropped out at weekend! The telephone didn't work.......? We could just get phone call receiving from exterior but not call to out side. According to the hotel using language, they said Germain, English, Russian, French...etc but they didn't speak French!? My friend couldn't communicate with hotel staff. The location of hotel was very good. It was quite near to the Kôln station.